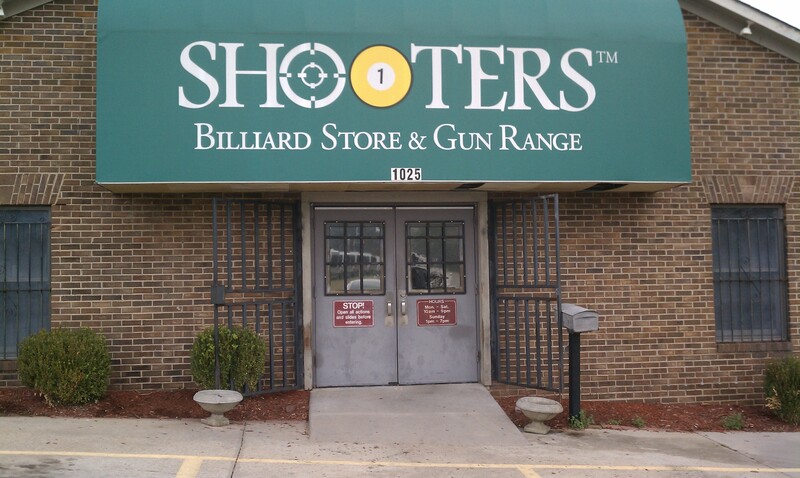 Shooters Indoor Range & Gun Shop was established in Augusta in 1993. We are open to the public 7 days a week. We have implemented an electronic Liability Waiver and Range Rules sign in that will be kept on file for 1 year! No more showing a "Safety Video" card either - everything will be kept in your electronic file! Sign your waiver from the comfort of your own home here if you have a tablet - and then when you get to the range, simply give us your last name, we'll check you in, pay your tab, and send you out to the firing line! With the opening of our new sister outdoor range (S.H.A.R.P.E. Shooters) in August of 2014, we launched a new membership structure that is a menu of Indoor, Outdoor, and Combination of the two with various levels of Individual, Family, and Life. Corporate memberships are available upon request. Download the membership application for full details. For information and directions to our sister outdoor range S.H.A.R.P.E. Shooters, click here to visit its website. Link to us on facebook!